Avoid having gutters like this. Severe Weather Gutters are easy and quick to install with the help of vinyl sealant. They are mostly maintenance- free and do not require painting ever! In case you are planning to get one, you should check its warranty period because these generally come in limited lifetime warranty. Also, keep in mind that you do not forget to get the vinyl gutter screws and the vinyl sealant along with it. How to install severe weather gutters? Water can really do a great amount of damage to your roof. Not only can it destroy the sidings, but also the foundations of your home. The ideal way of protecting your roof from getting damaged is, install a severe weather gutter so that the flow of the water can be directed. The gutters can be made from a number of materials like steel, wood, aluminium, copper etc. A more durable and popular material for making gutter these days is the Vinyl. These are cheaper and are also easier to be installed. severe weather vinyl gutter is also one very good option. 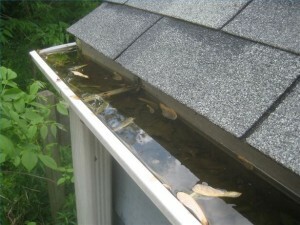 Before you install a gutter, it is important to decide where you want the water to flow from your house. Are you looking to collect it in a barrel or looking to dump your runoff away from the foundation so that you avoid leakages. You must consider the construction and the landscape of your house before you choose any of the 2 solutions. Make sure that whichever place you choose to dump your extra water should not a slope back to the foundation of your house. Once you have measured it, make a plan for the gutter installation. Write down the rough dimensions and the shape of the gutter so that it becomes easier for consultation. You can buy a complete installation kit for the purpose of installing the gutter. It includes all the necessary equipments, namely, corners, connectors, gutter pieces and caps. But, this complete kit can be a bit expensive. So if you want a cheaper option you may buy all the equipments separately, piece by piece. Mark the scope for the water flow for the gutter. Now, install the downspout outlets on the perimeter of your house. You can use a powered screwdriver or a drill for the purpose and attach the gutter hangers along the line drawn by chalk on the fascia boards. After that, hang the gutter sections with the help of connectors that you got in the equipments. Now, you can attach the drains pipes to your house. Make sure you are getting the right size of the drain pipes. Once you are done doing this, fit the jackets or the gutter guards on. These jackets which come in the kit is made of metal mesh. These help the water to flow smoothly. First, the denatured alcohol is rubbed down. Then, it is painted with a good exterior latex paint. The inside of the gutter is not painted. The severe weather vinyl gutter system helps in preventing foundation damage and garden erosion. It is specially engineered for withstanding the harsh weather conditions. It helps in preventing chipping and denting. Also, the added advantages include that it last for many years without any corrosion, rust or rot.